Welcome to the March 2010 edition of ACE NorCal News! 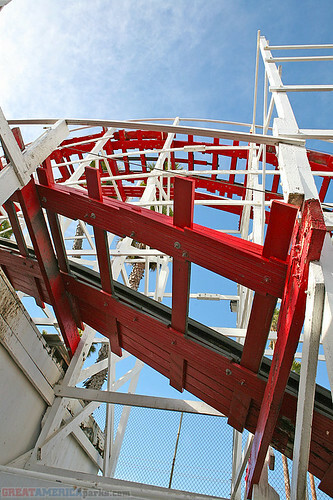 Give a day at Playland-Not-at-the-Beach. Get a Disney Day. The previous Haunted Castle is seen here on its last day of operation: August 23rd, 2009. The previous Haunted Castle is seen here during its demolition on September 11th, 2009. The construction of the new Haunted Castle is seen here on March 2nd, 2010. In February Matthew and I had a great time when we volunteered at Playland-Not-at-the-Beach (PNATB). We had intended to do this for years, especially when Richard was thinking about designing a roller coaster room, but we just never found the time. Matthew served the front desk greeter during the Wolf Man weekend so he had the opportunity to see many colorful visitors. So be sure to request to volunteer on a day that PNATB is hosting a themed party or event. Best of all, PNATB is part of the Disney “Give a Volunteer Day, Get a Day at a Disney Park” program. So not only did we enjoy our day volunteering at PNATB, we get free admission to Disneyland. Just volunteering for eight hours qualifies you for a free day at the park. But you can also accumulate your eight hours by volunteering four days for two hours at a time. To participate in the Disney program, you must pre-register at the Give a Day. Get a Disney Day. web site. To find qualifying PNATB volunteer opportunities, enter “El Cerrito, CA” in the activity search box. Tickets available under this program are limited and have been going at a phenomenal rate. Don’t wait too long to sign up! For more information on volunteering at Playland-Not-at-the-Beach, go to http://www.playland-not-at-the-beach.org/volunteers.htm Kendra is the Volunteer Coordinator for PNATB. She can help you select a volunteer opportunity that suits your personality. 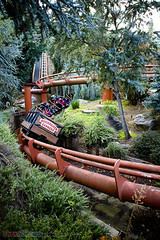 California’s Great America opens its 2010 season on 28 March. The new season brings Planet Snoopy in place of Nickelodeon Central. The park also will have some new food choices this year, including Panda Express. 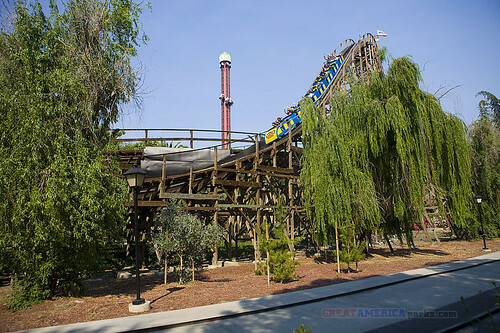 Gilroy Gardens celebrates its Tenth Anniversary season this year! Opening day is Sunday, the 28th of March. Now would be a great time to purchase your 2010 memberships. Visit their web site for more information and to buy your memberships. 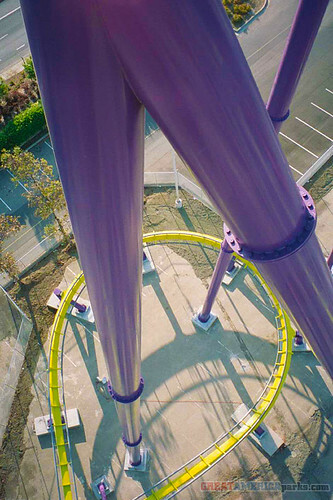 Do you have your 2010 Endless Summer season pass? What are you waiting for? Go to http://beachboardwalk.com/01_tickets.html for all the details. Be sure to also see elsewhere in this issue: Photo report: SCBB Haunted Castle Construction.